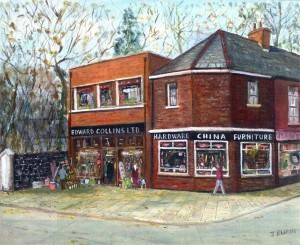 The business was first established by Edward Collins in 1948 at 275 Falls Road in Belfast as a household hardware retailer. As trade grew, Edward’s brothers William and Patrick joined the business. Their father, Patrick Collins senior, had spent his lifetime working in the furniture trade and when he joined his sons in the business in the 1960s the company began to sell furniture alongside the hardware. In 1965 the present premises on the Andersonstown Road, Belfast were built. Over the years, as the traditional hardware trade declined, the focus of the business moved towards furniture and by 1989 we stopped selling hardware. Today, the company is run by Michael and Carmel Collins who are the third generation of the family to be involved in the trade. Over the years, we are proud to have built a very loyal customer base. Many of our present customers’ families have been dealing with us since our earliest days.